The volume, velocity, and variety of data available today provides learning professionals unprecedented opportunity to understand our users and impact our business. However, most of our industry’s analytics are still stuck in a mindset of delivering some flavor of “course completion” (scores, time on task, number of attempts, butts-in-seats). You may have noticed that I listed these questions in terms of actions I should consider as a learning professional, rather than additional points of accountability for users (they already have plenty of those-called business results). 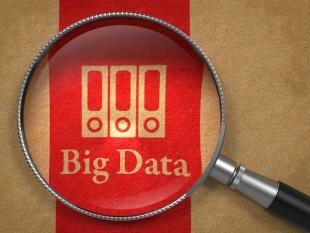 I have heard many of the concerns regarding big data in our industry and how it can potentially be misused. These concerns are not unfounded. However, I am actively committing to taking a positive view on the opportunity big data provides. I want to use available data streams so I might engage in more active and broad “dialog” with my users, with the goal of better understanding their needs and behaviors so I can work to support them more effectively. Instead of focusing on how an organization might try to use analytics to hold employees more accountable, I want to use the data to hold myself more accountable to the actions I should be taking as a learning professional to make a profound impact on my users and the organization. You can find more from David Glow on his Twitter feed @criticallearner, on his website: Business Critical Learning, or by connecting with him on LinkedIn.